During the Summer time, this problem usually escalates, with an increase in creepy crawlies and bugs entering your home. This is why implementations should be introduced throughout your property to reduce the risks of this. Here’s are five great benefits associated with living in a pest-free home. Bugs that enter your home carry with them diseases and germs. Something as simple as a fly, ant or moth entering your home can change the health of you and your family. However, this is preventable by ensuring simple precautions, such as Outdoor blinds or fly screens are installed. Lyme disease, Salmonella, and viral Meningitis are some examples of what can spread. Parasites are also a major issue, as well as lice, fleas, ticks and worms which are all common in Australia. These parasites are frequently transported via mice, rats and various other insects. 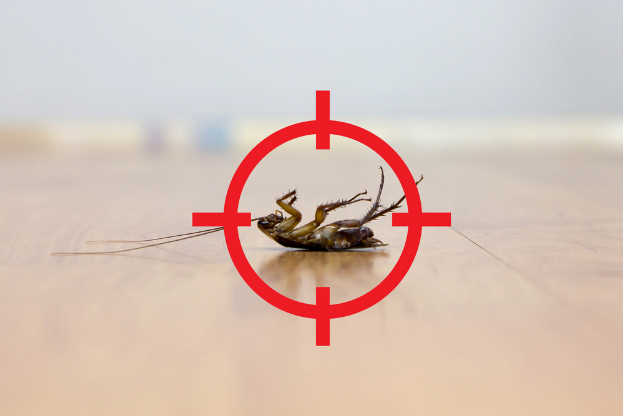 Ensuring these pests don’t enter your home will become valuable in the long run, so installing some precautions will be highly beneficial. Rodents can cause house fires and through chewing on the wires in your property. This is particularly alarming for homes or properties with an overwhelming quantity of mice and rats, which present themselves most commonly during the Winter time. In hindsight, it is more cost effective and safe to implement precautions into your home early on and determine whether these rodents are an issue for your property, than take the risk of starting a house fire. The word termites immediately creates a negative image in people’s minds, due to the negative connotations associated with the term. This insect alone can attack your home in various ways, leaving you with large financial expenses and damages to your property. It has been estimated that one in four homes in Australia will deal with termites at least once in a lifetime, which highlights the dangerous threat these insects bring to your home. 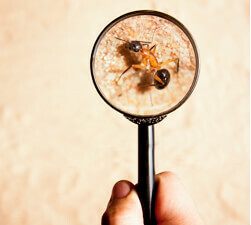 Dealing with a bad termite situation is not cheap. On average, the cost of dealing with an infestation can cost you around $2000, with the repairs costing you a minimum of $4000. Wouldn’t you rather spend that money on something else? A holiday maybe? Or put that towards a new car? Simple precautions around the home can prevent this from occurring. A large quantity of these nuisances are attracted to clothing, and find their way into your closet to feed off of a variety of different fabrics. Although this may seem like a menial and trivial issue, it is an unnecessary problem that you shouldn’t have to be faced with. Many species of moth are attracted to natural fabrics, which also tend to be the most expensive. And it is in these fabrics which they lay their eggs in, ruining your clothes in the process. Furthermore, child moths are known to eat into clothing, so if you find pieces of clothing in your wardrobe looking a little more revealing than how you initially purchased them, it is safe to assume that you have an infestation of moths. Once again, installing precautions around your home to eliminate easy accessibility and ways for moths to get into your property, is highly encouraged. Pests can pose a serious threat to innocent household pets who may not be able to protect themselves. Infectious diseases carried by rodents ranging from cockroaches to flies to a poisonous spider bite can harm your beloved household pet and make them ill. It is advisable that you create an environment for your pet or pets that is healthy, secure and pest-free to ensure they are not at risk. Each individual pet deals with pests in a different way, so safety measures need to be implemented around your property to reduce these potential dangers. How Do You Keep the Pests Out? Although these risks are worst-case scenarios, and are not serious issues that affect the lives of everyday people, especially in cosmopolitan suburban areas, they can still potentially happen to anyone. These ‘that-sort-of-thing-happens-to-other-people-not-me’ stories are what you could possibly be faced with if you don’t understand the risks associated with opening your home to these pests. With simple and cost-effective solutions that you can implement into your home being readily available, there has never been a better time to ensure your home is pest-free. Seal your doors and windows. Putting foam liner on the frame will block any insect out from entering your home. Don’t keep piles of wood close to your property. Don’t leave food around your house. This means not keeping leftovers out from the night before out, or uncovered food on the bench or wrappers lying around. This is what attracts ants and other unwelcomed guests. Keep your garden trimmed, tidy and clean. Bugs and other creepy crawlies love hiding in your garden, but don’t make it easy for them. Install an outdoor blinds system. See this as a more stylish, advanced fly screen, that will insulate your home all year round and keep the bugs out. By implementing a few of these precautions mentioned above, you can be on the way to building a pest-free home! However, if the problem is severe, and you’re really concerned about pests in your home, you should contact a professional pest control company to perform an inspection and properly fix the problem. You don’t want to ‘think’ that you’ve removed your pest issue, only to realise 2-3 weeks later that it’s now worse than ever. There is nothing worse than having an infestation of bugs, spiders, moths and other unwelcomed creepy crawlies. And with cost effective, simple and easy to install precautions at your finger tip, there is no better time to protect your family, pets and home from pests.